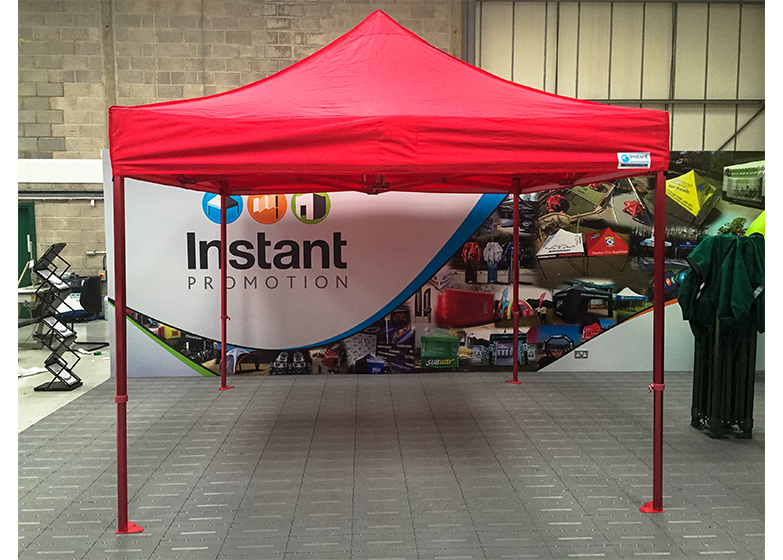 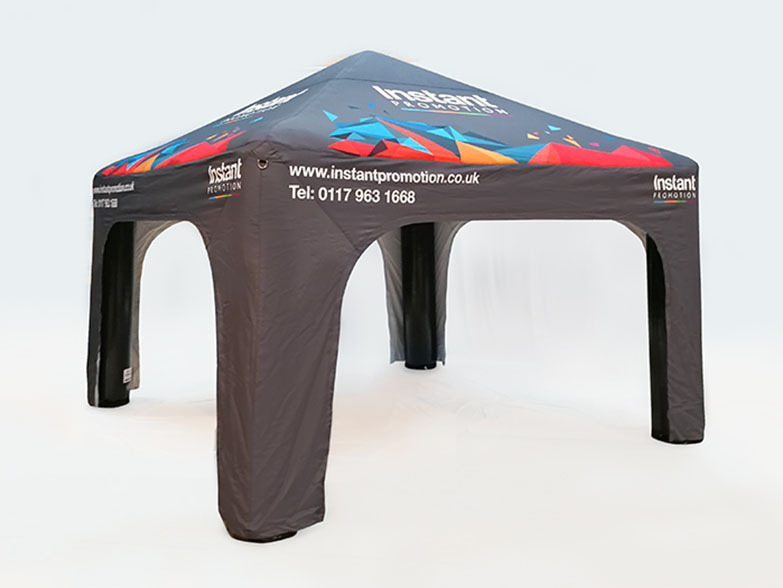 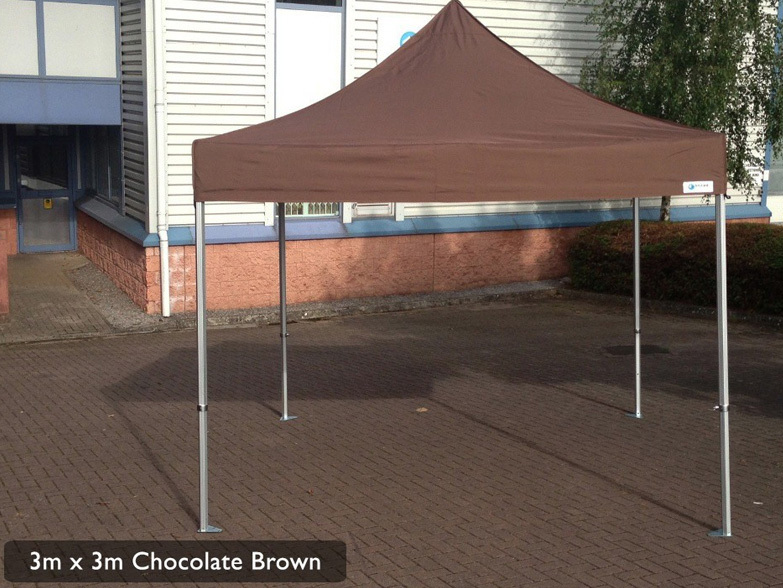 The UK's number one heavy duty gazebo! 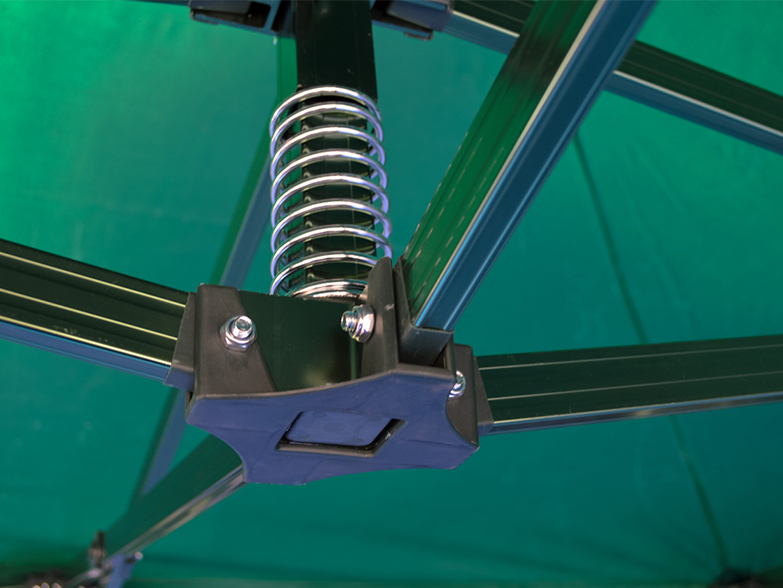 Designed and refined in-house, the GZBO Hex 50 is trusted by National Trust, St John Ambulance, Screwfix, Sky TV and many more major brands. 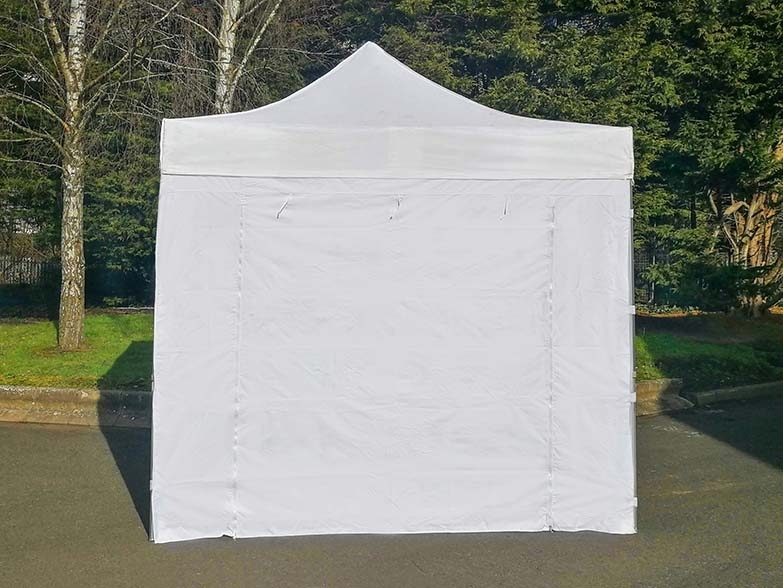 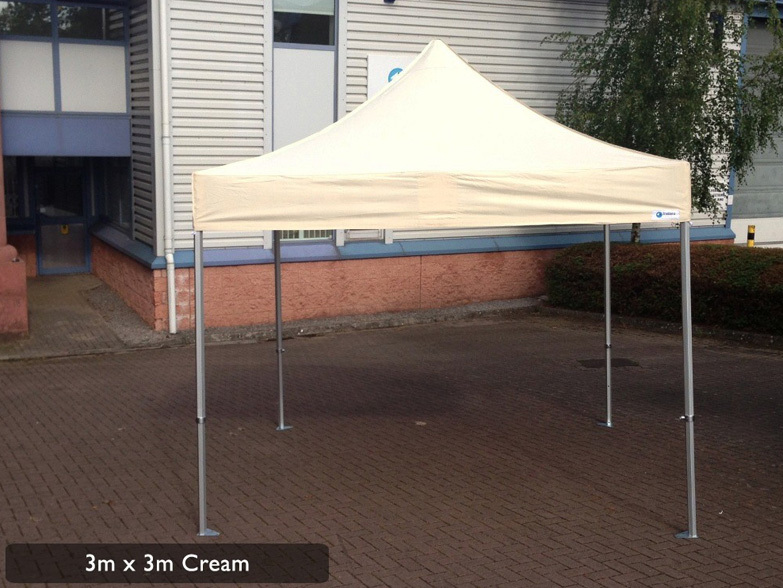 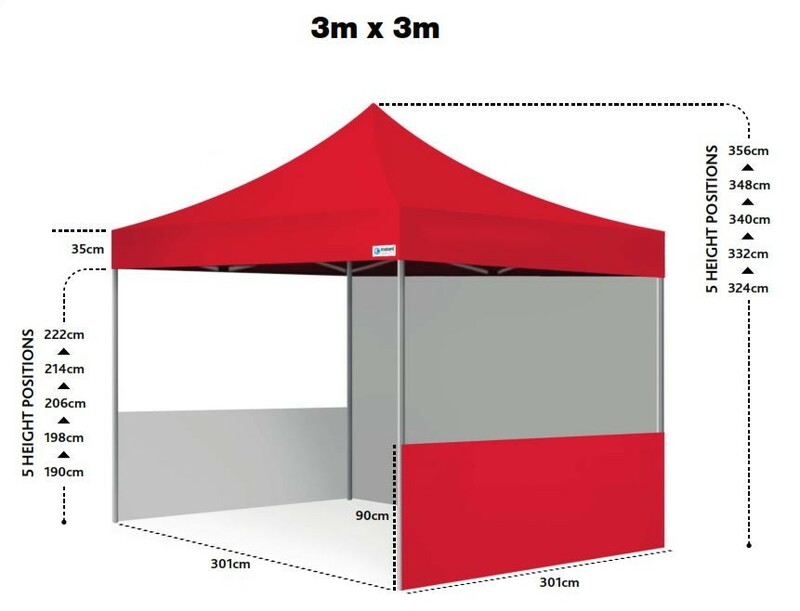 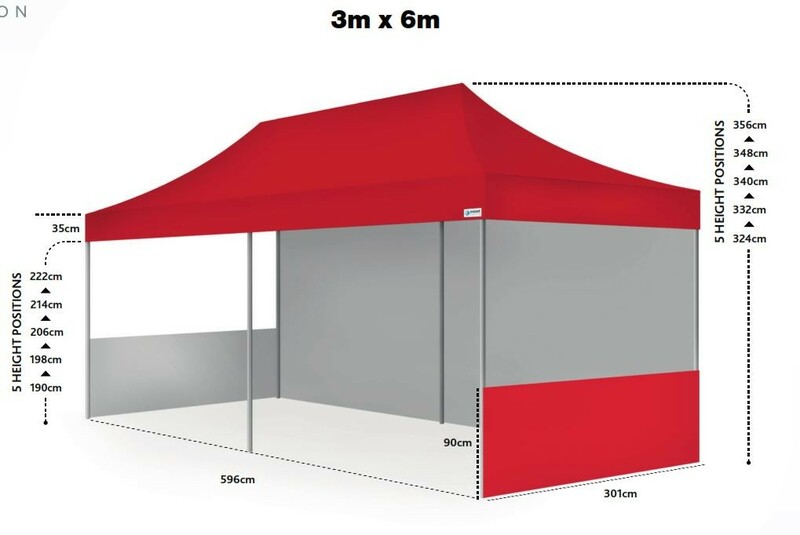 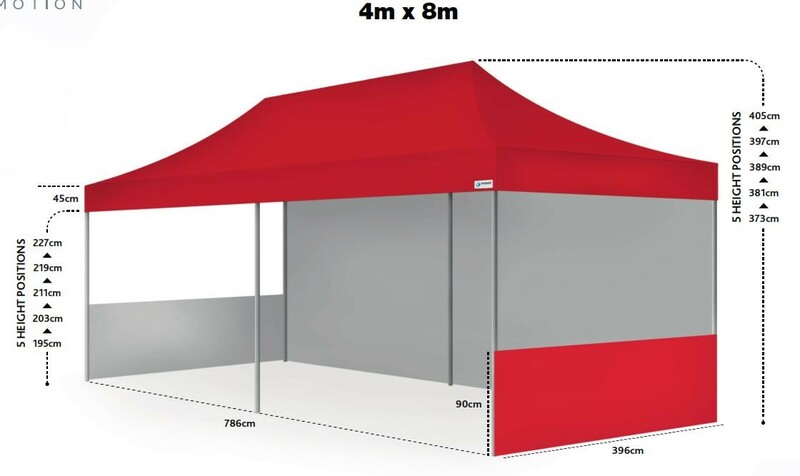 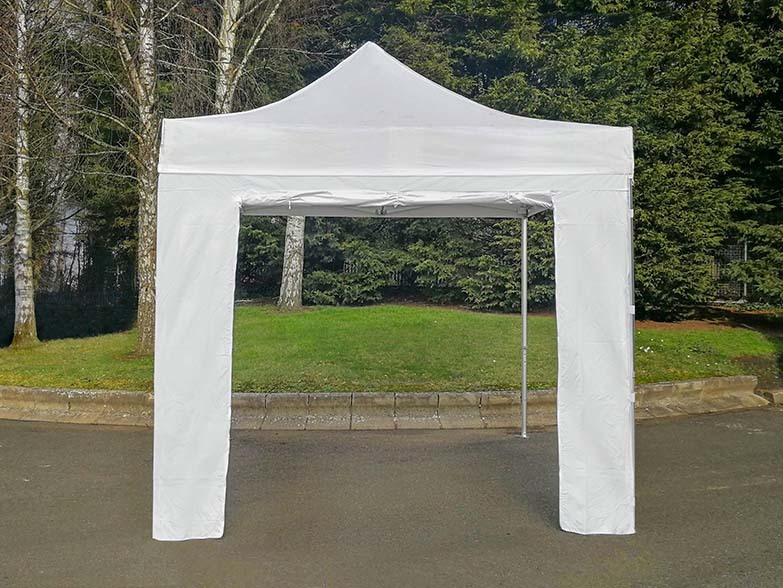 The GZBO Hex 50 is the strongest, heaviest duty commercial grade gazebo in the UK! 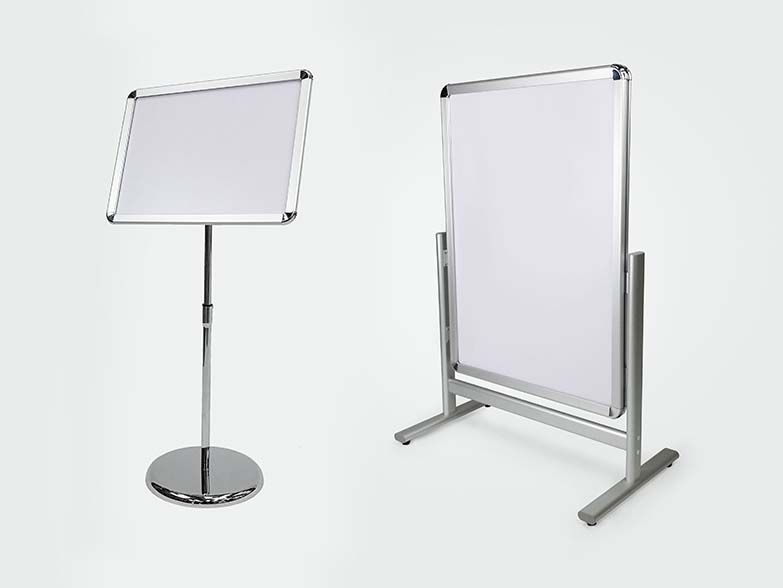 Our team have spent years designing and refining our flagship GZBO Hex 50 model, and it is now one of the smoothest, easiest to use frames on the market whilst retaining its position as the best value for money package. 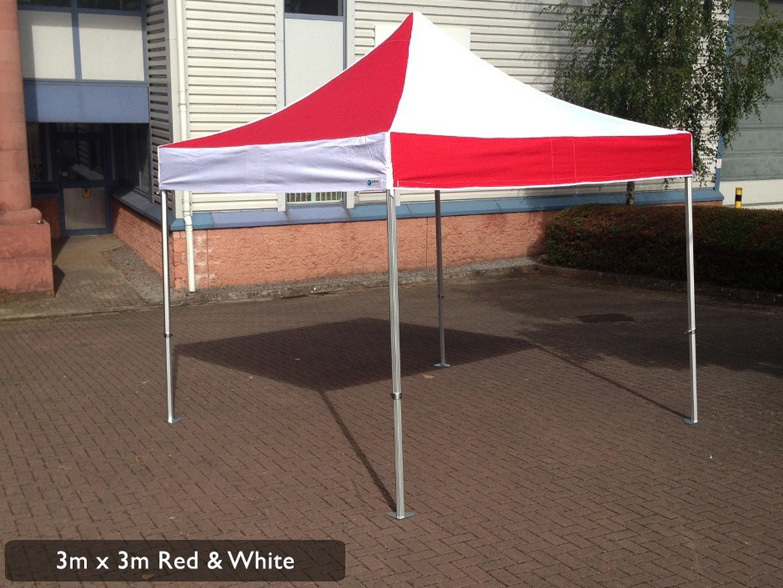 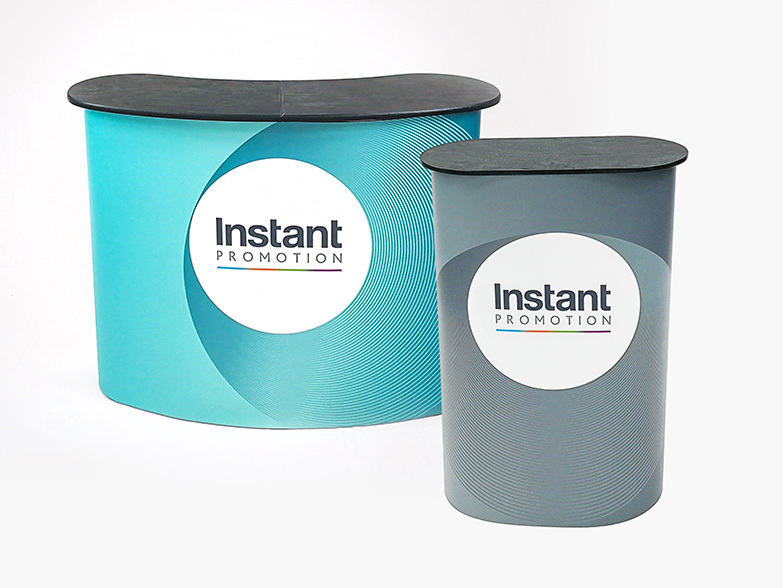 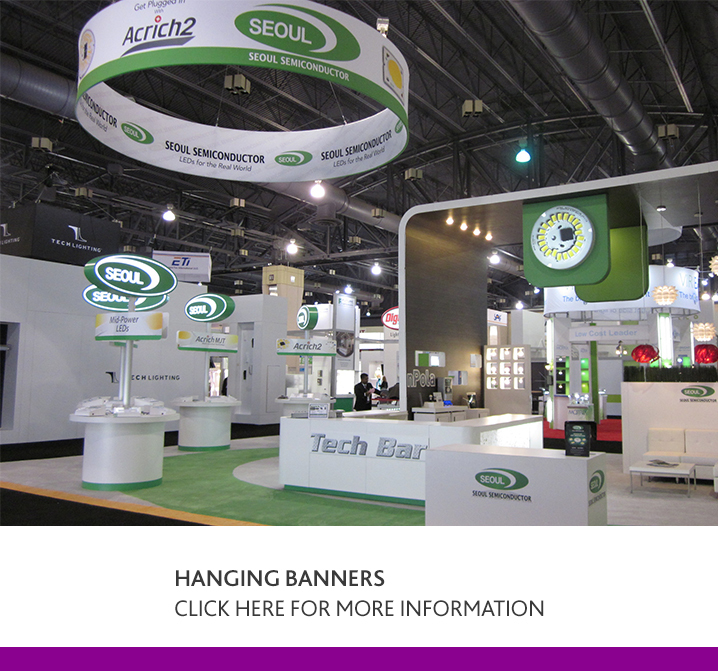 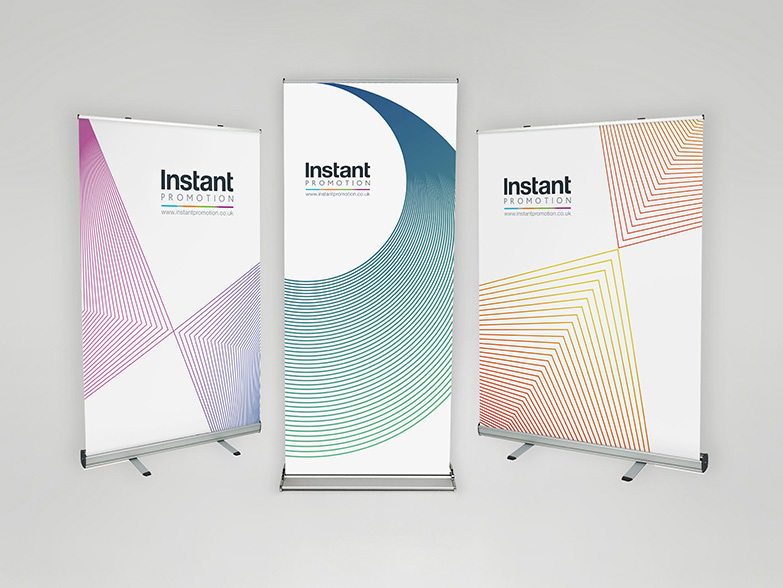 Available in sizes from 3m x 2m to a massive 4m x 8m, we stock over 15 colours for you to choose from! 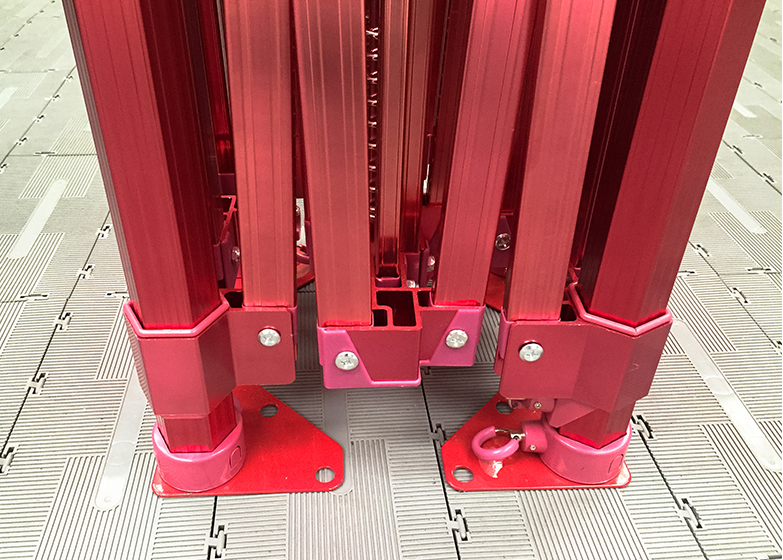 Our GZBO Hex 50 frame is unique to us - no other UK company has access to this frame design, and that's because we design and build the GZBO Hex 50 ourselves. 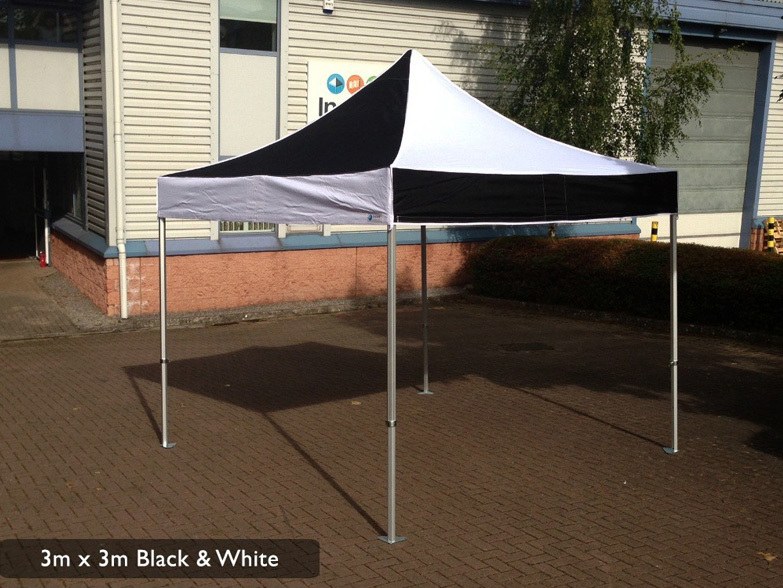 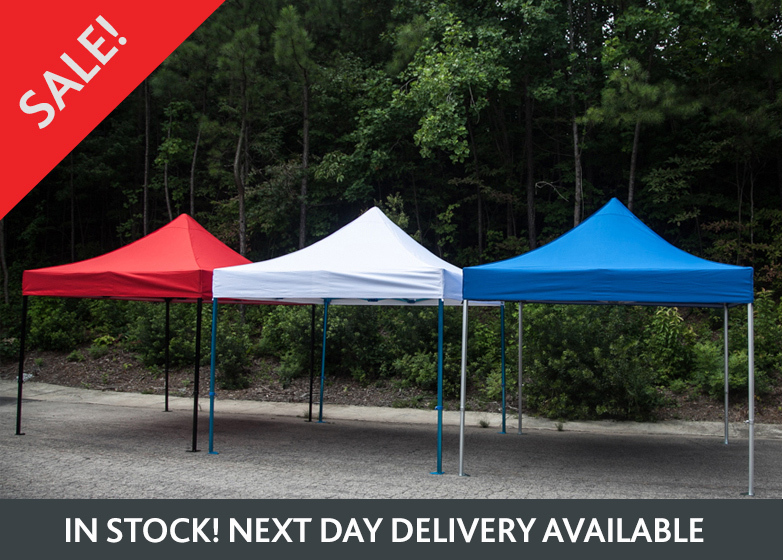 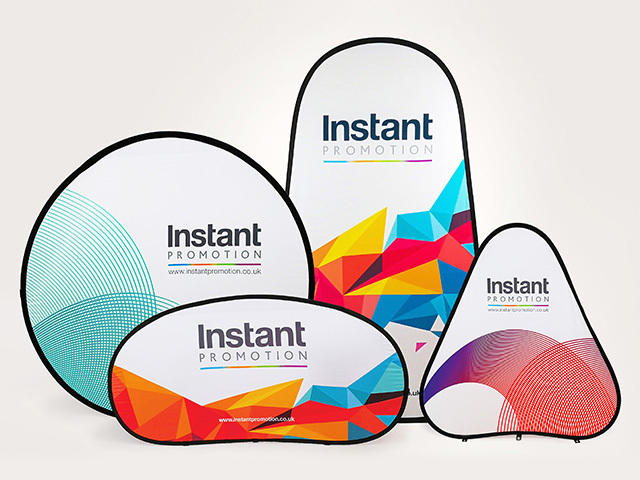 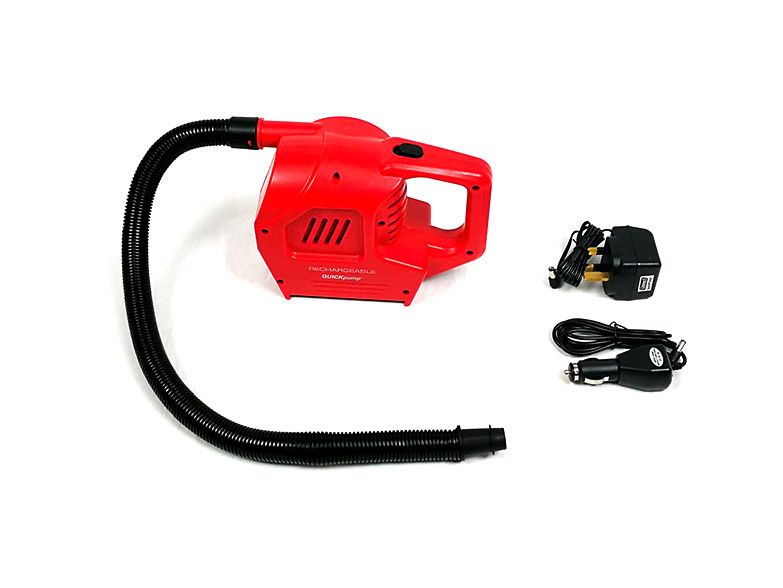 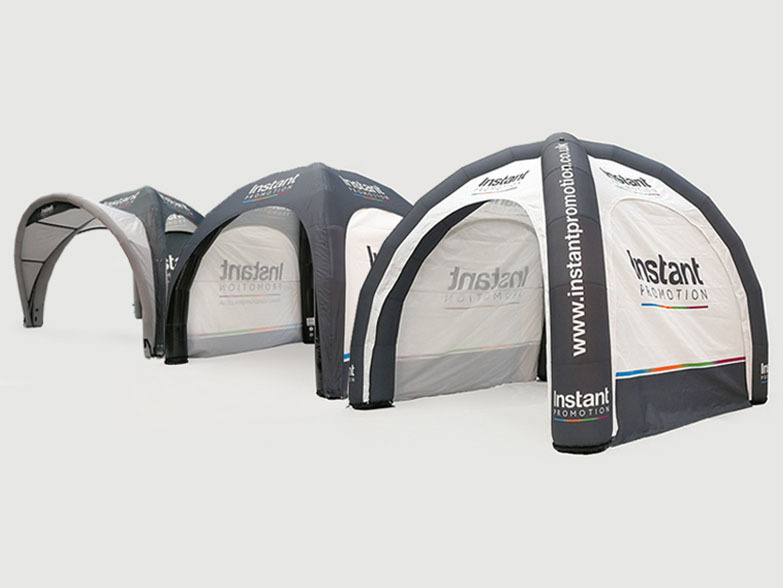 Available in plain stock colours and with full custom print, the GZBO Hex 50 is the model chosen by clients including Sky TV, National Trust, St John Ambulance, British Cycling and many more organisations who truly put it to the test at event throughout the UK and Europe, almost every week of the year! 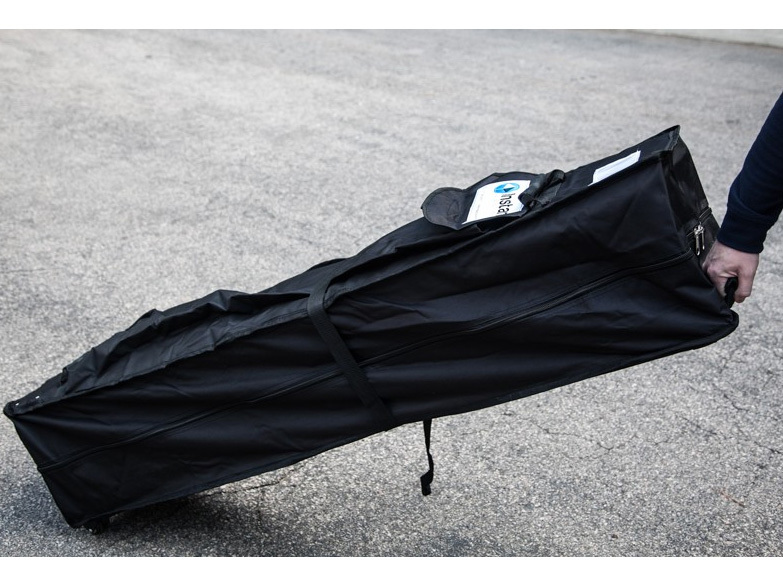 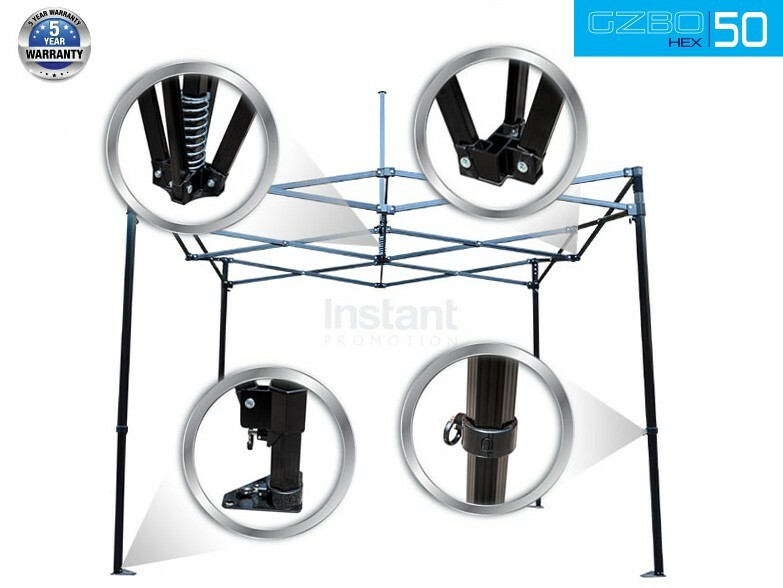 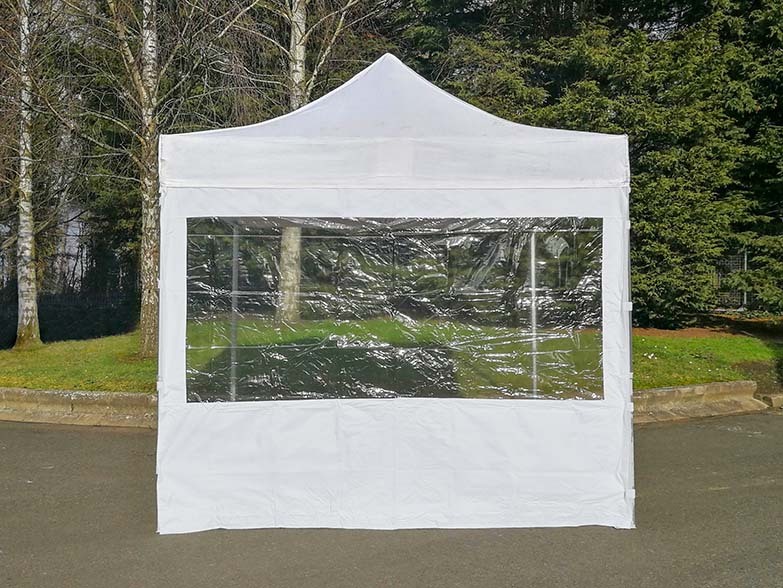 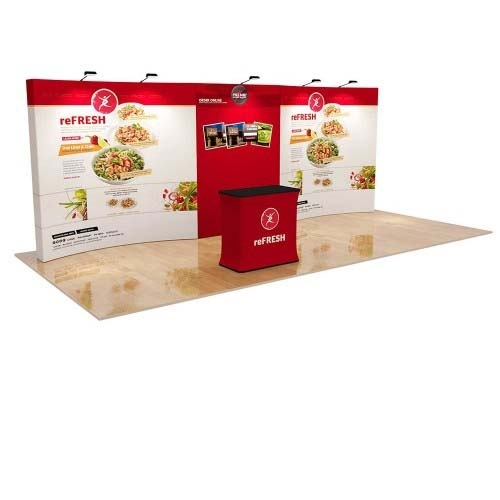 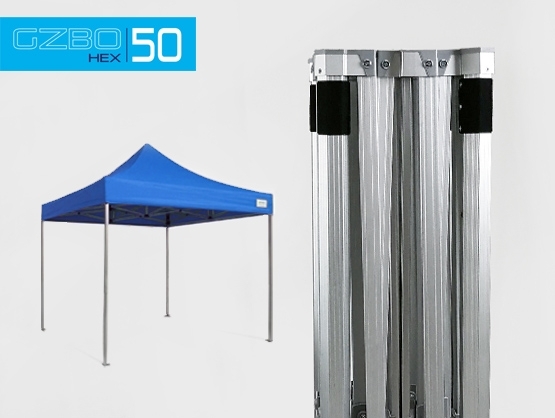 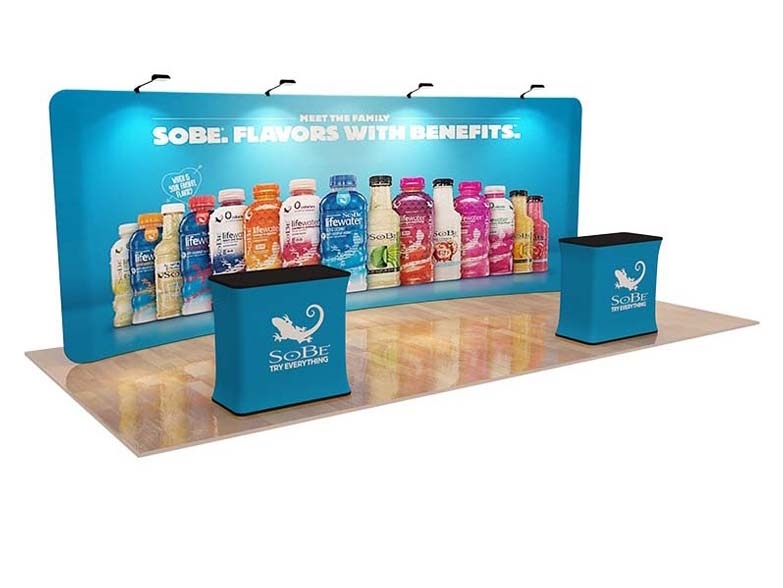 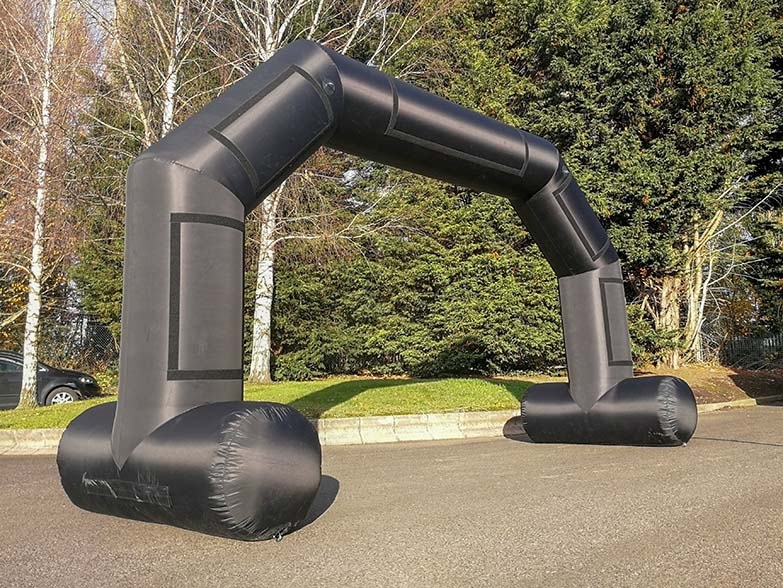 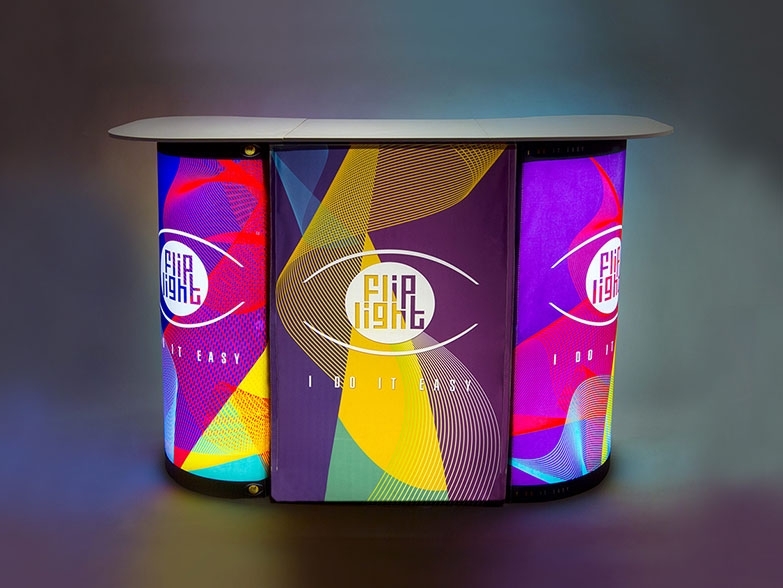 Our product development team designed the GZBO Hex 50 frame three years ago, with a view to creating the strongest and easiest to use Instant Marquee on the market. 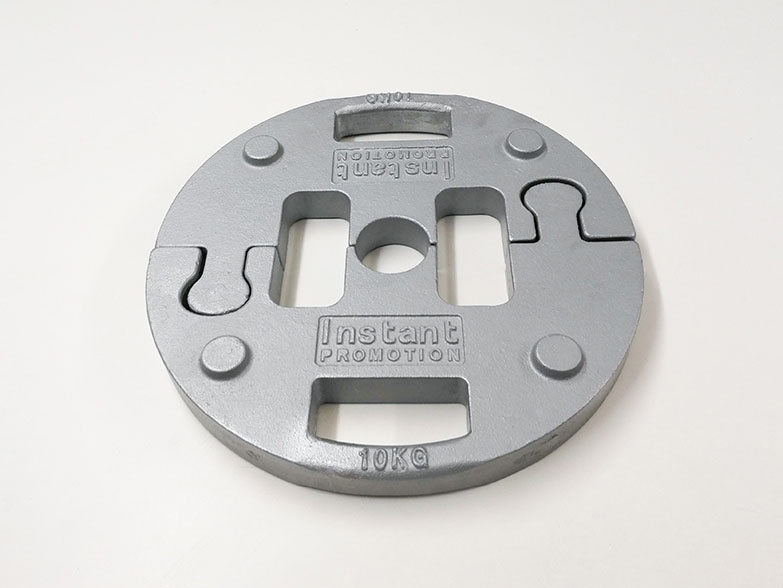 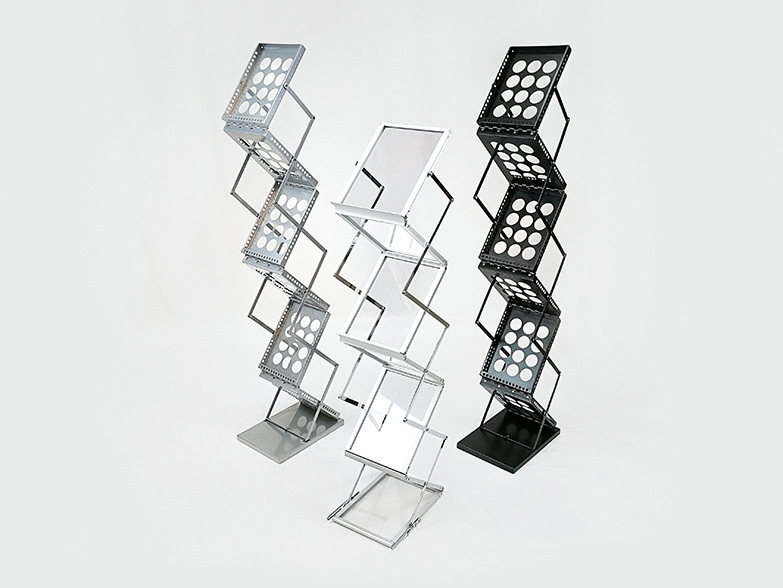 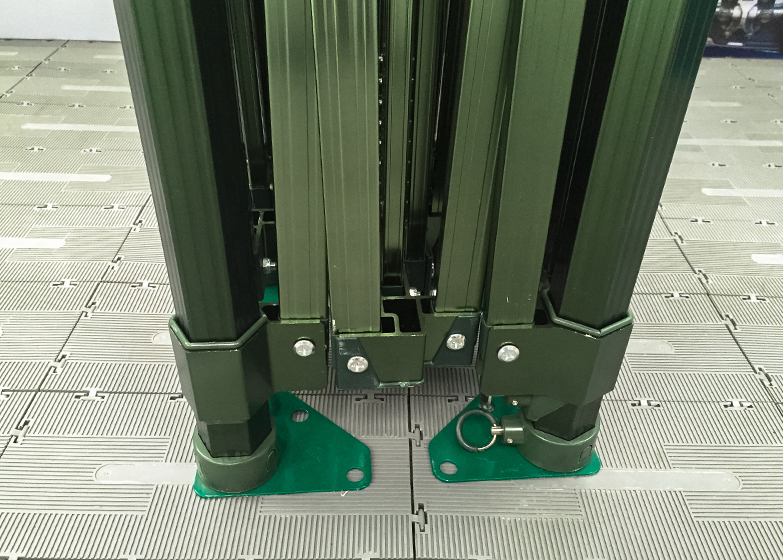 Starting from the ground up we have ensured that the frame sits on large oversized metal feet which each have three machine drilled holes for securing on soft ground. 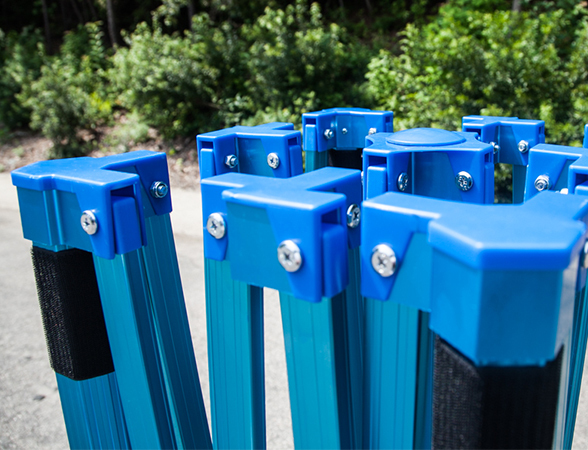 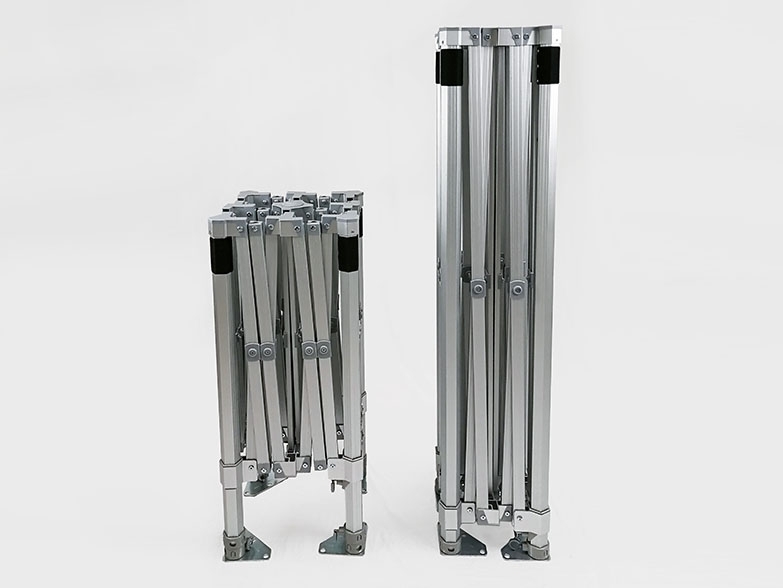 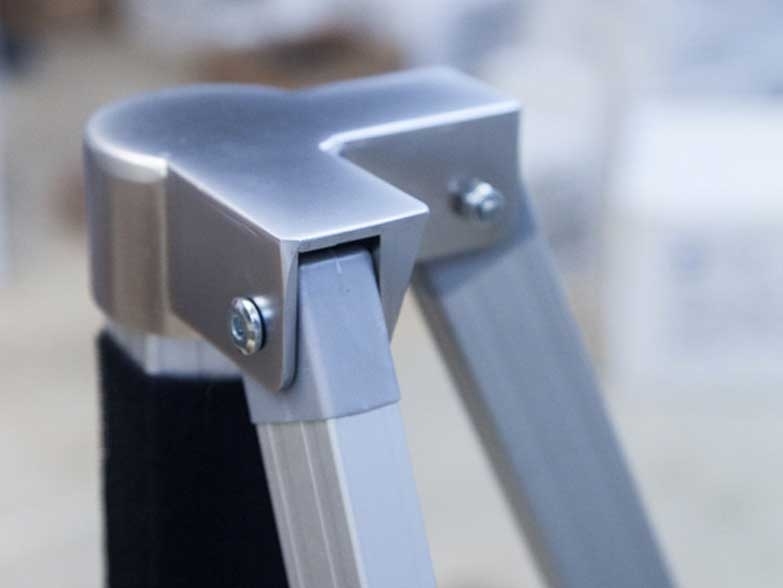 The upper legs measure 50mm across and are a hexagonal shape, which has been proven under strength tests to withstand more pressure than a traditional box section leg. 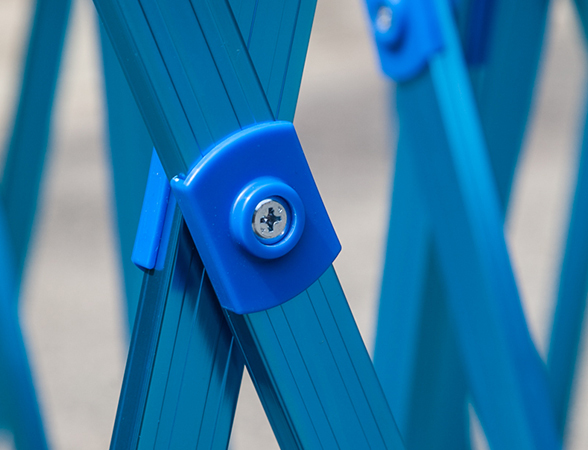 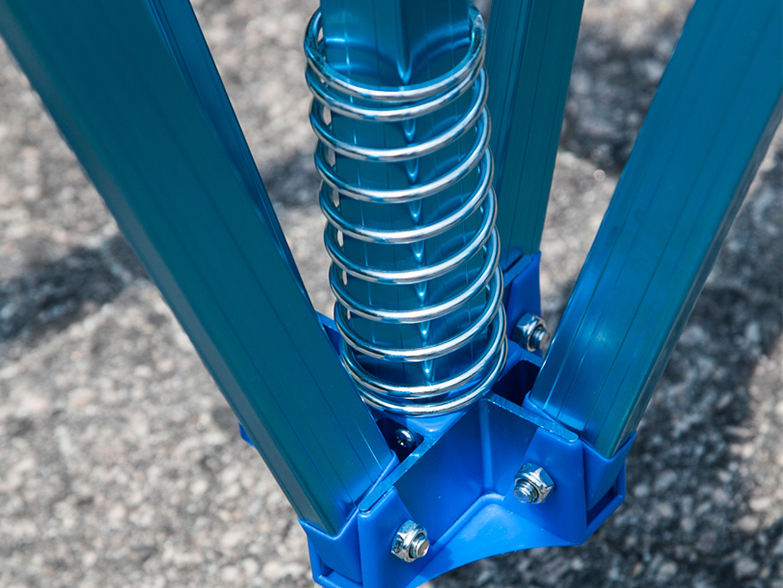 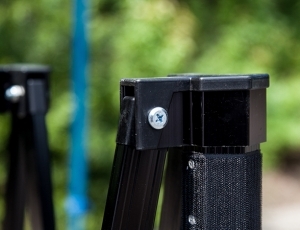 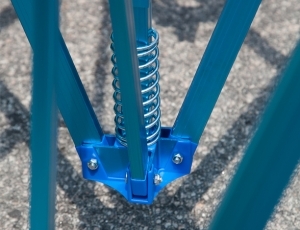 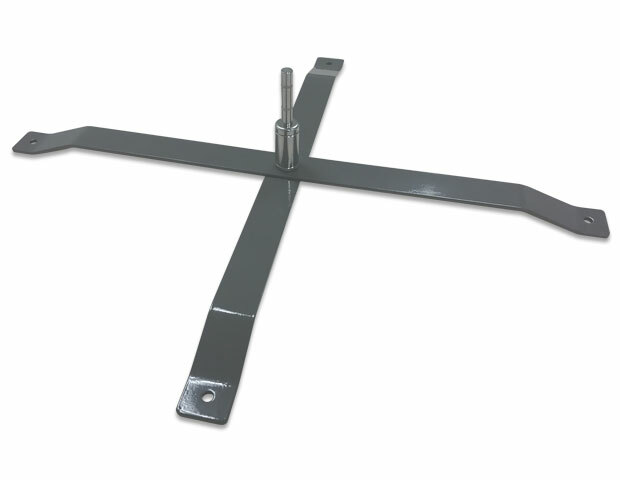 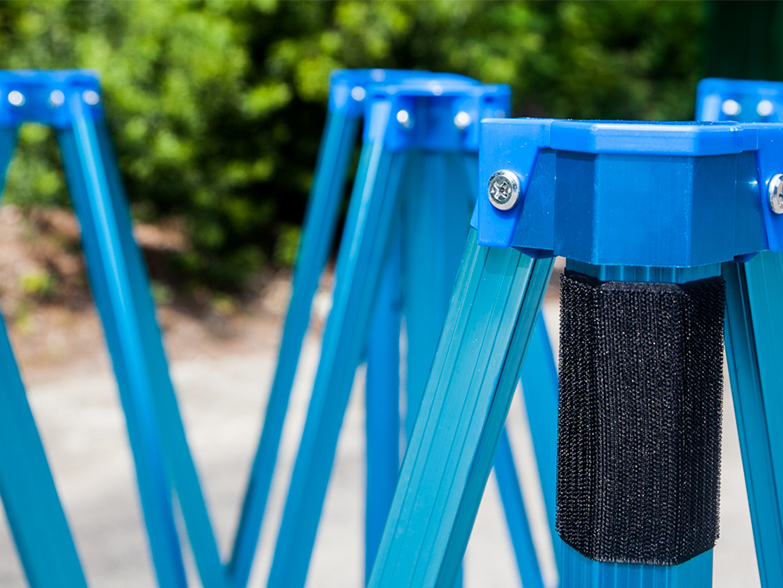 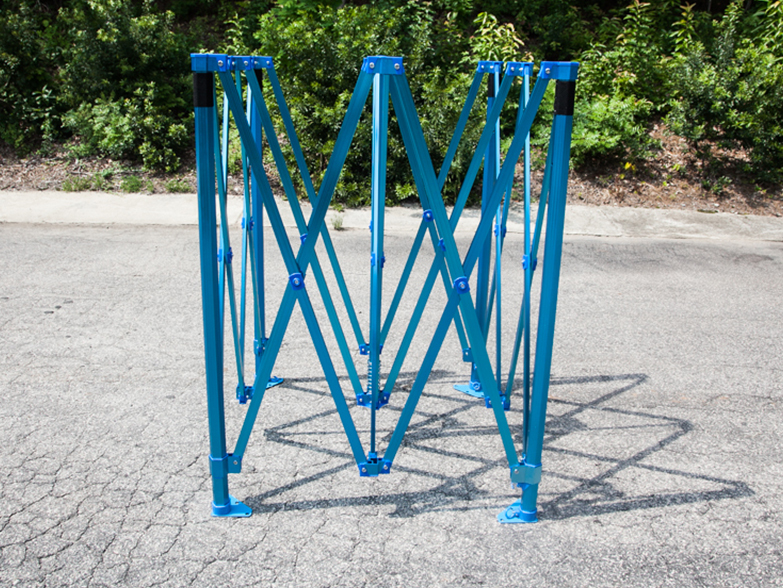 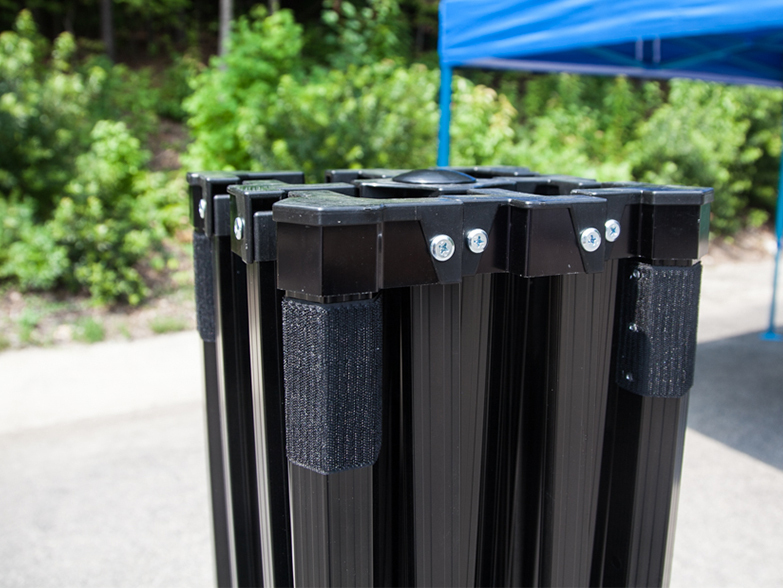 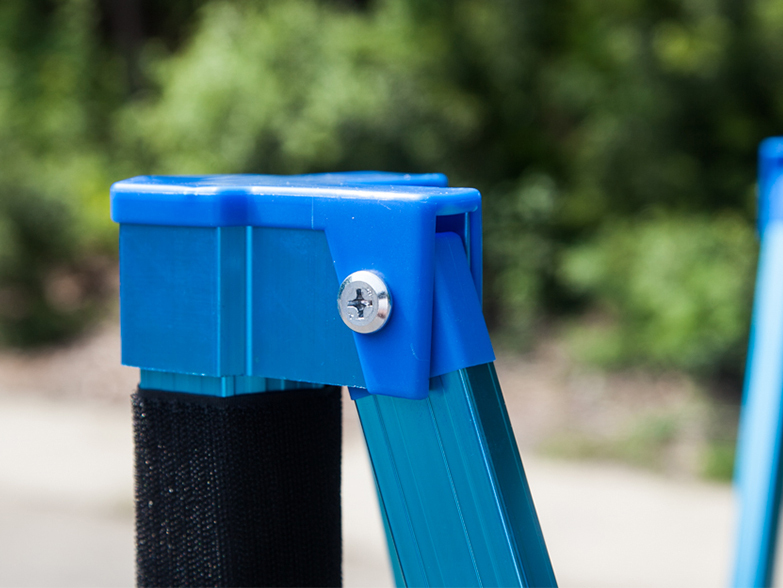 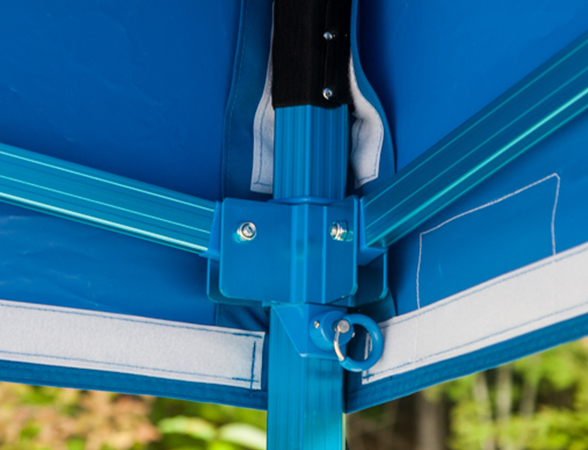 Both the brackets for adjusting the height of the frame, and the sliding leg brackets, have metal pull pin mechanisms for safe and easy adjustments. 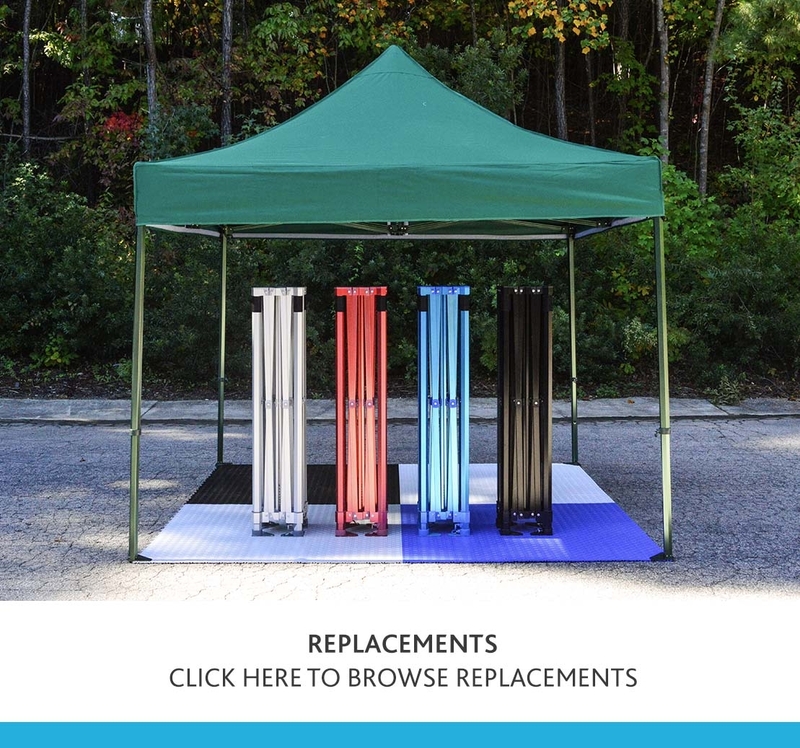 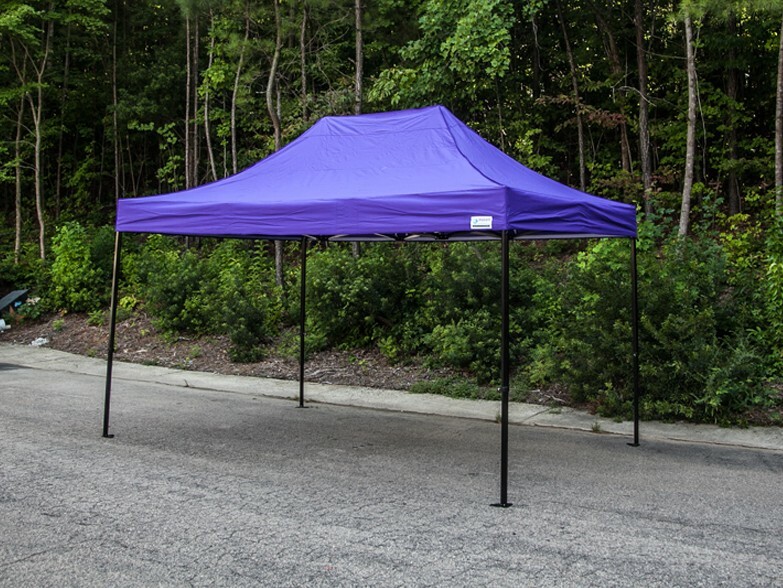 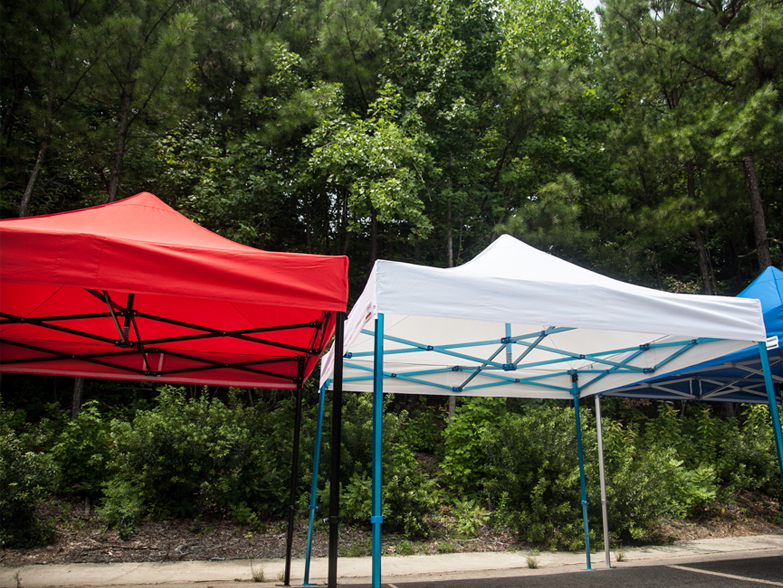 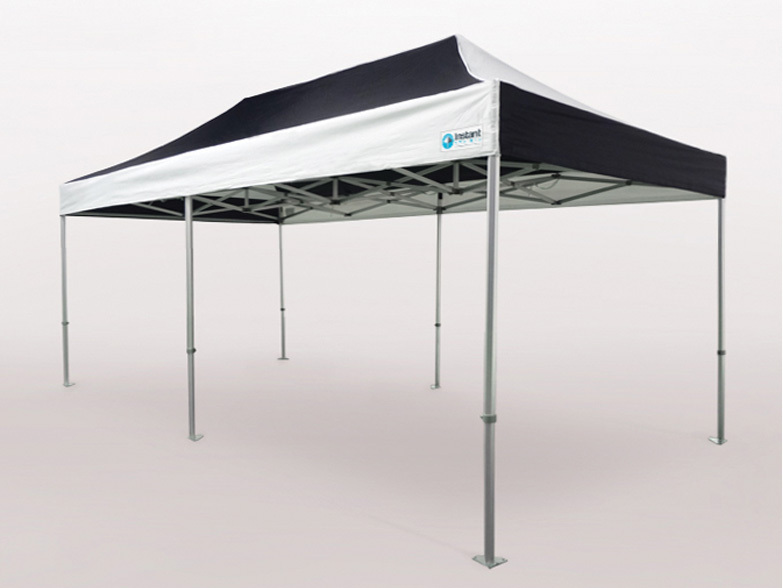 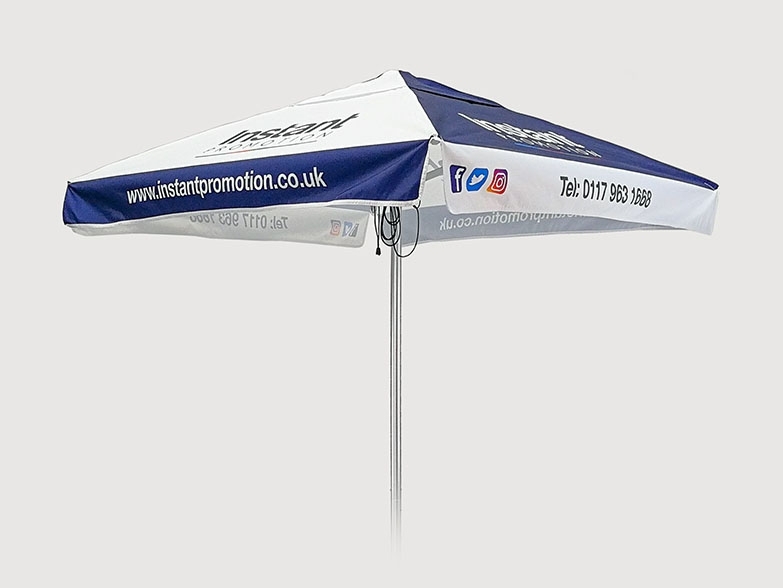 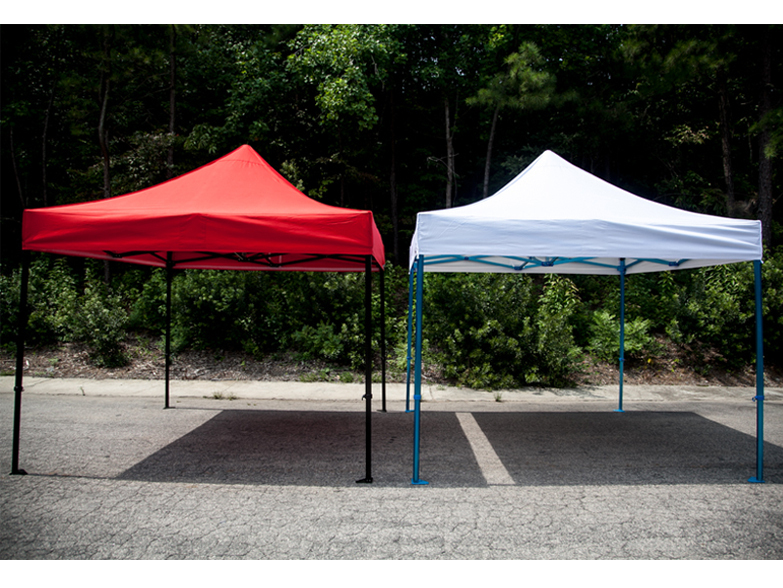 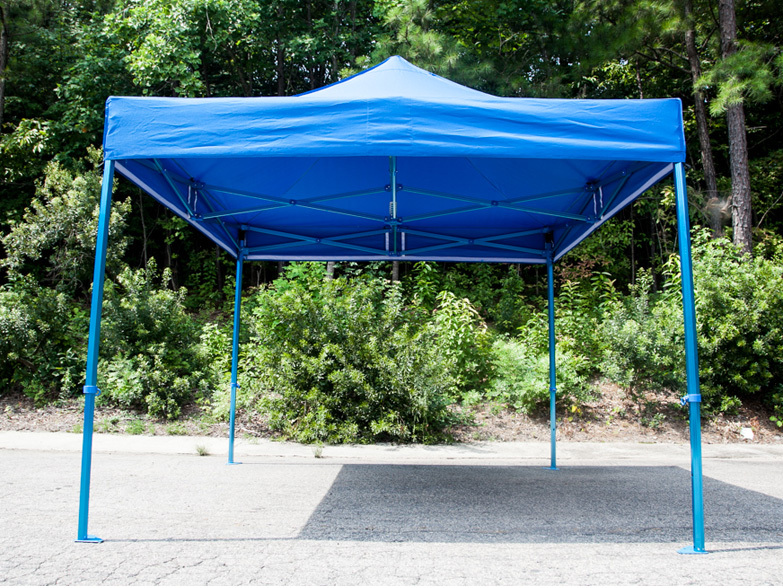 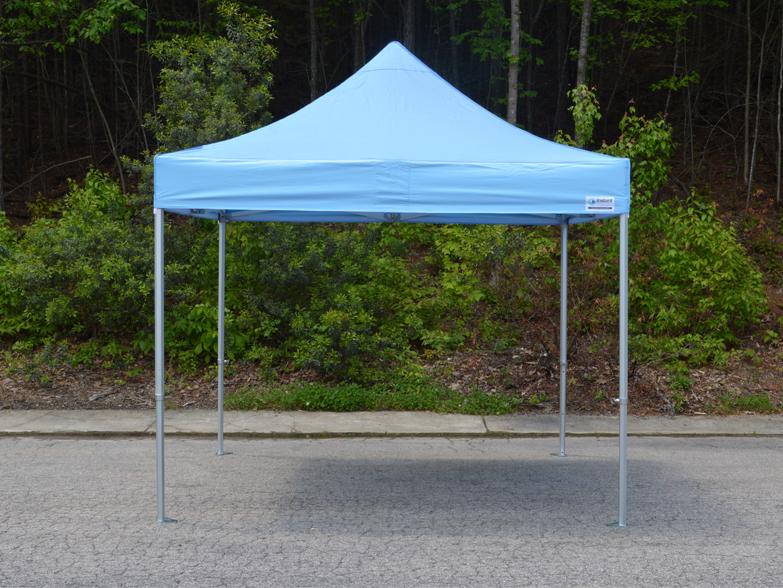 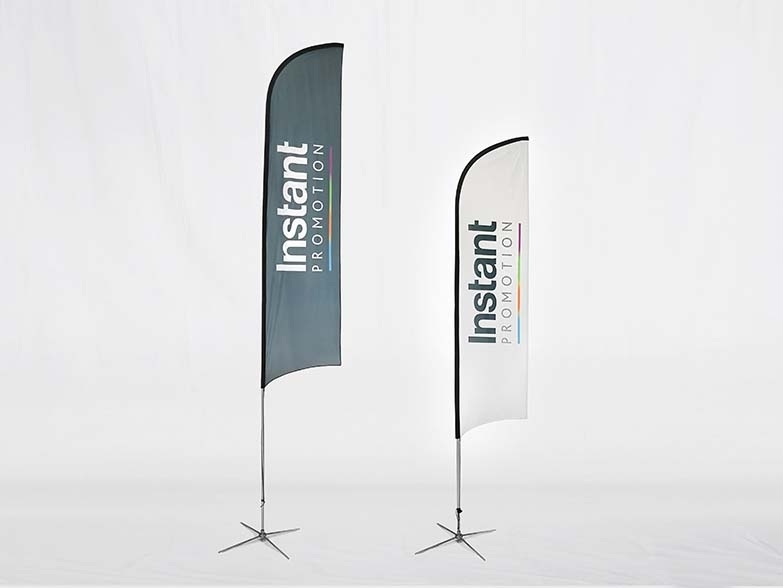 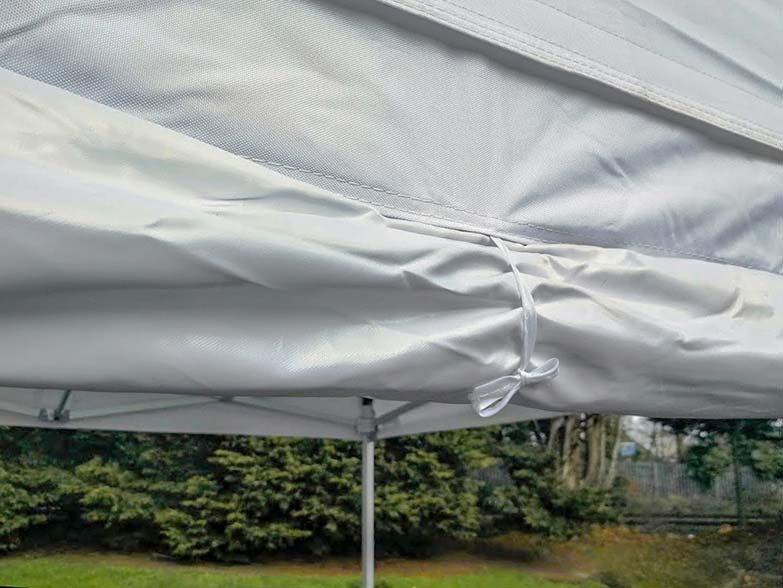 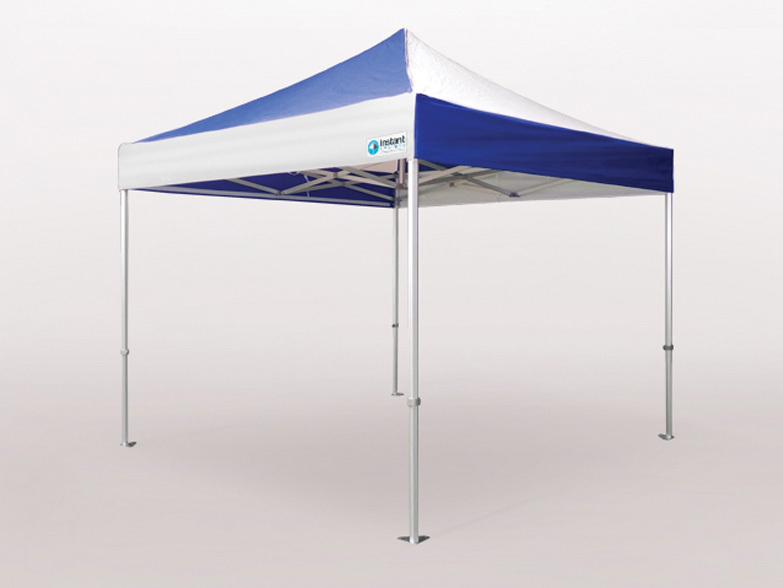 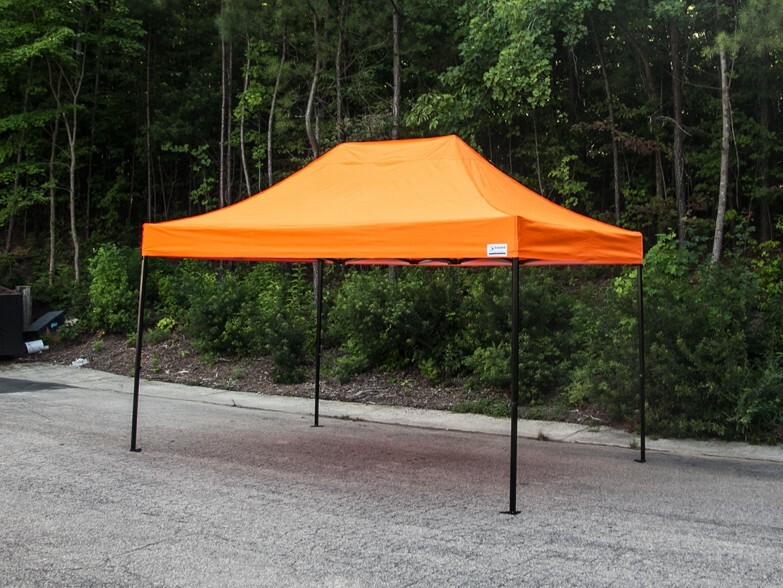 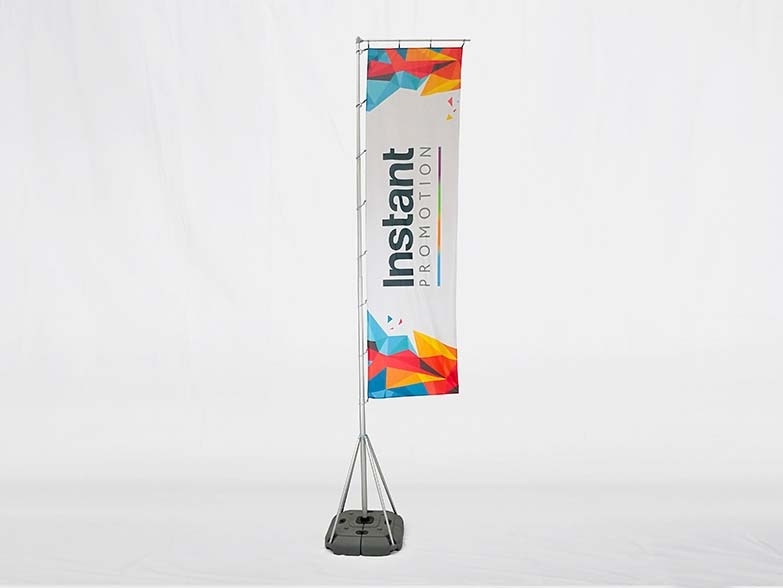 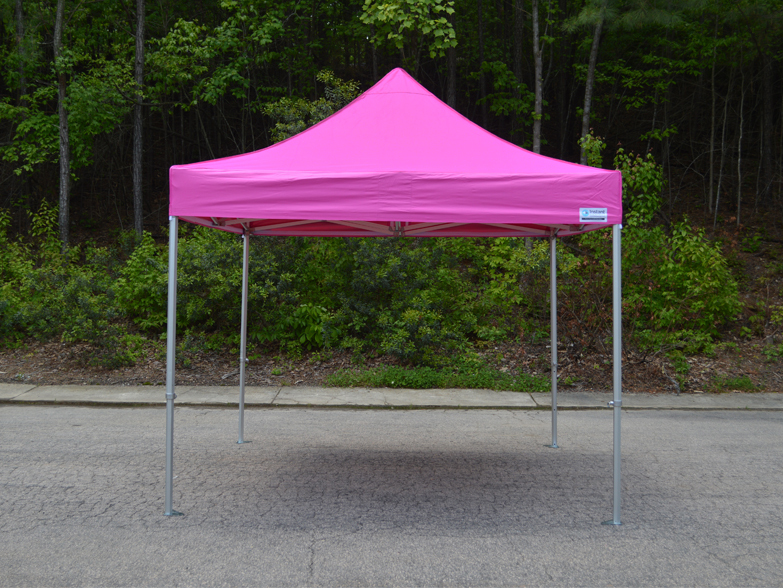 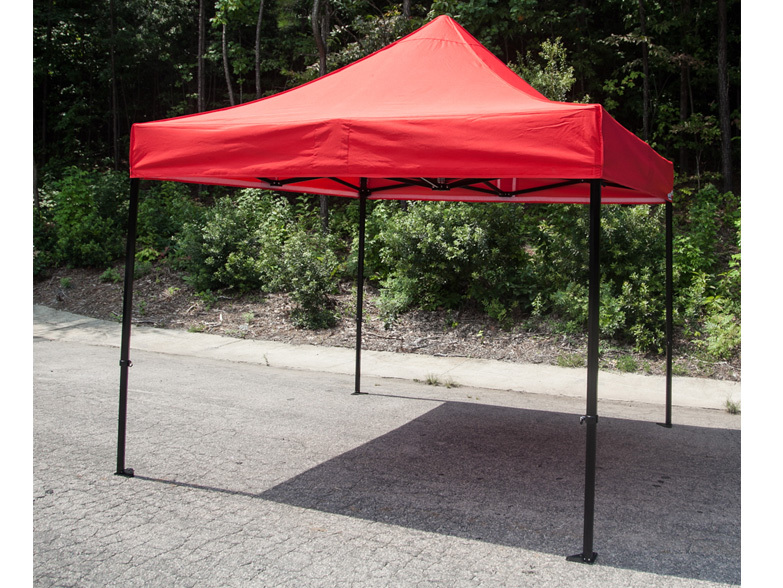 The sturdy peak poles that support the canopy when fully erect are finished with a curved cap to ensure minimal wear and tear on the roof material. 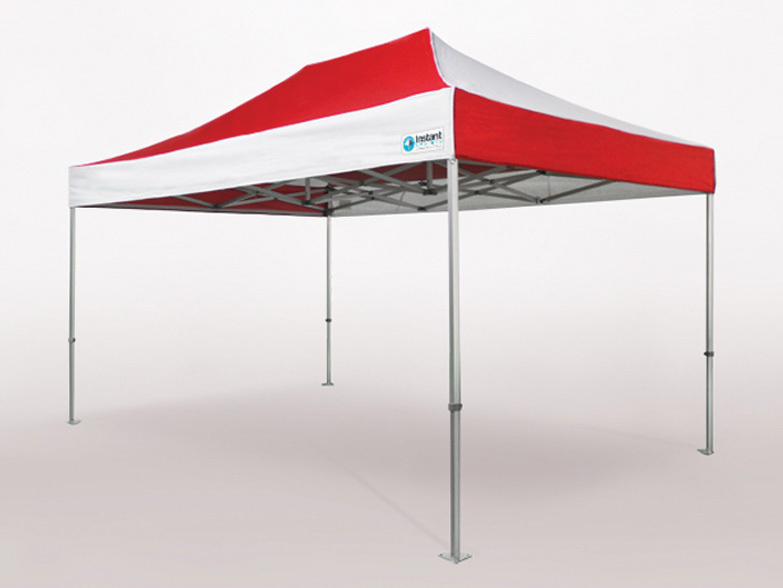 Every canopy also has re-enforced contact points where it rests on the peak pole(s). 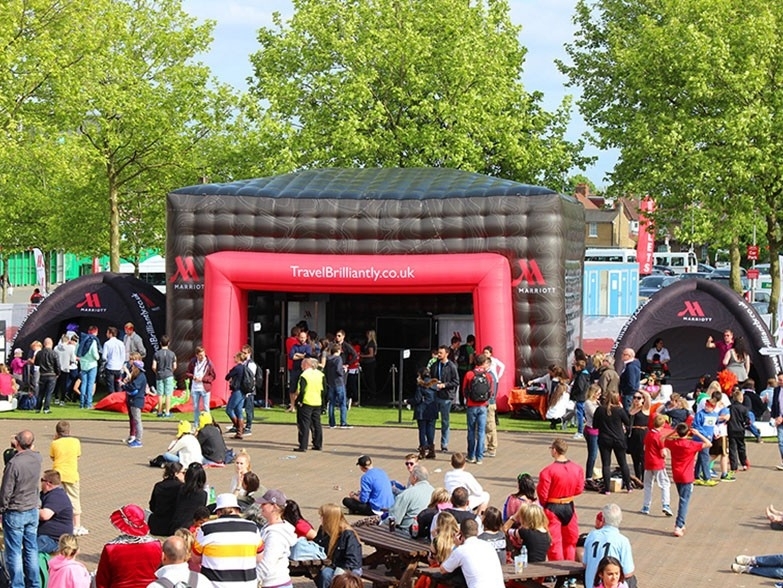 Have you got 77 seconds you can spare? 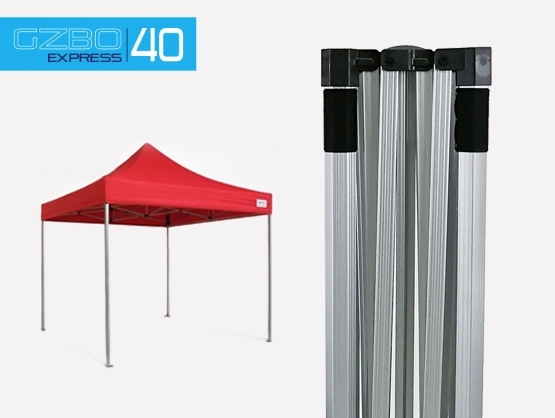 This short clip helps explain exactly why the Pro 50 is Number 1 when it comes to heavy duty, long lasting commercial grade gazebo frames. 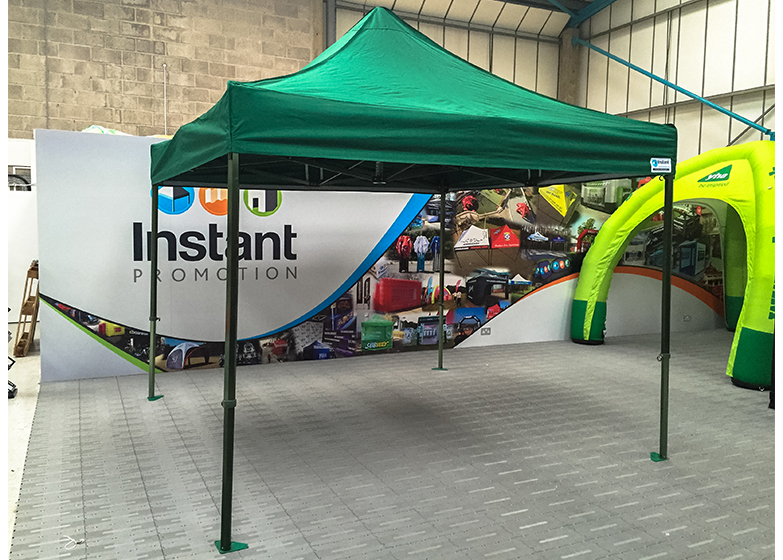 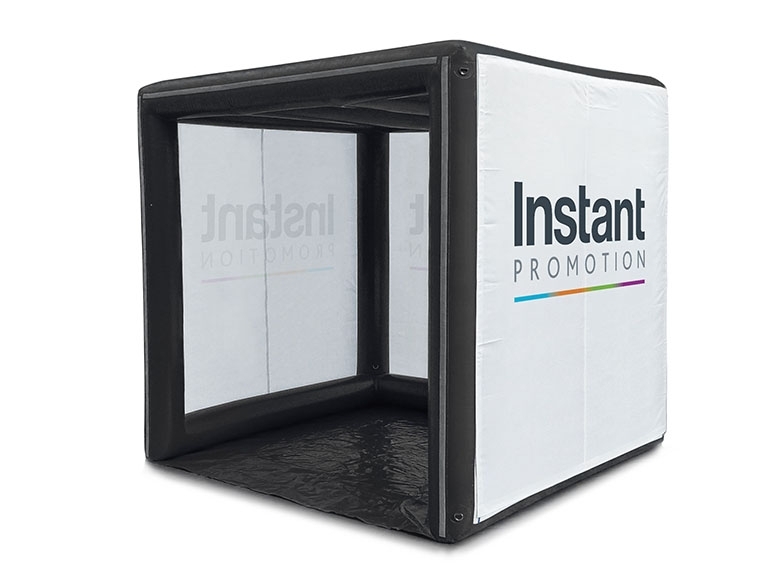 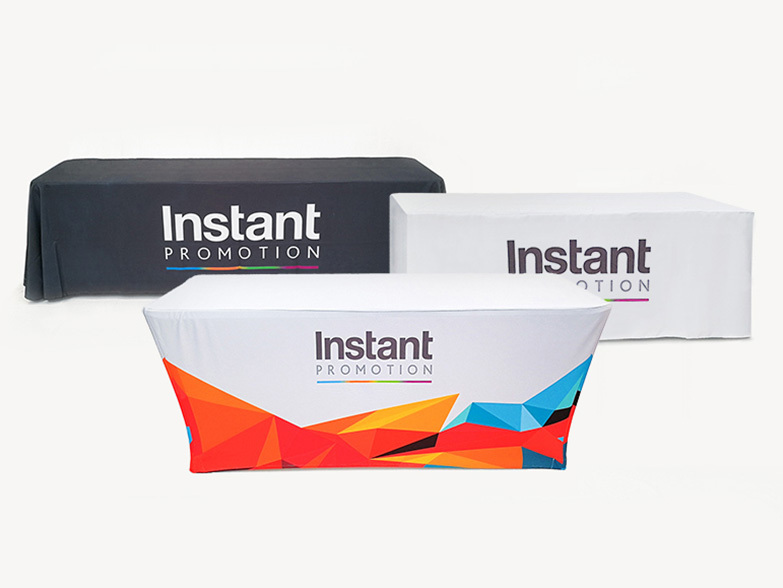 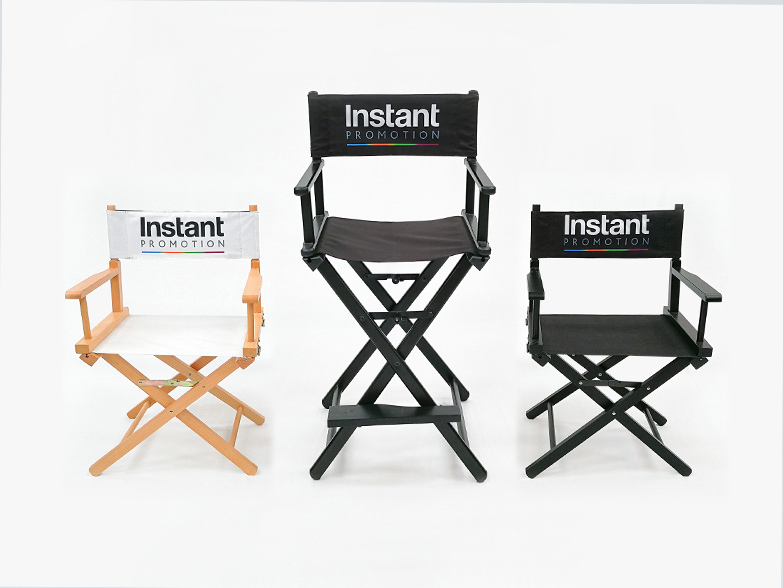 There's also a quick demonstration of a one person setup, which can be done with ease up to a maximum size of 3m x 3m. 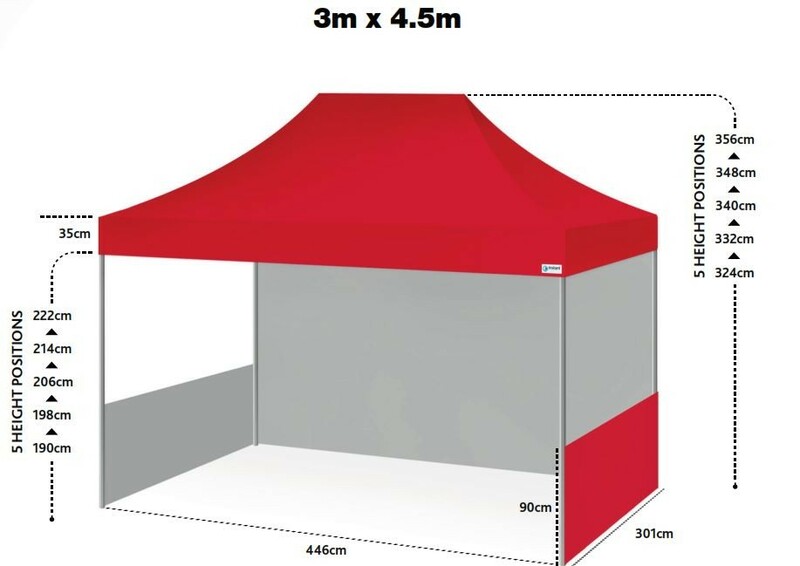 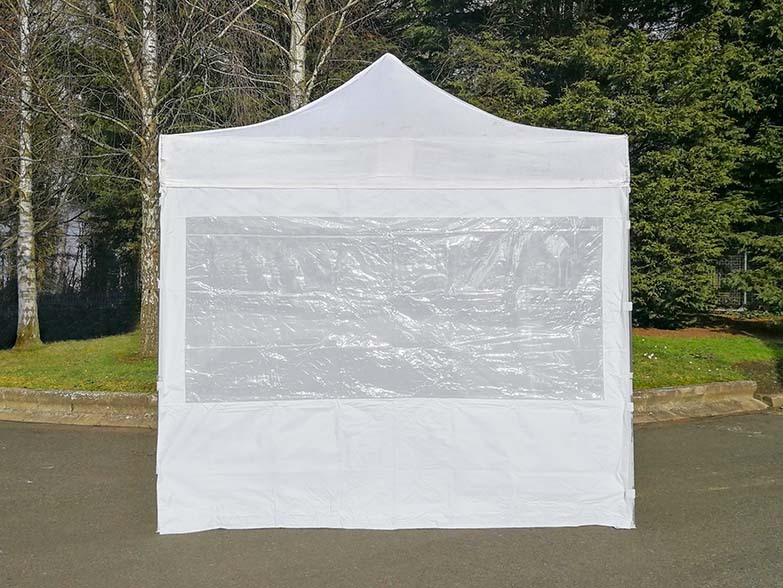 A 3m x 4.5m and 3m x 6m setup is possible with one person, however the setup time is likely to be 3-5 times longer than with an extra pair of hands! 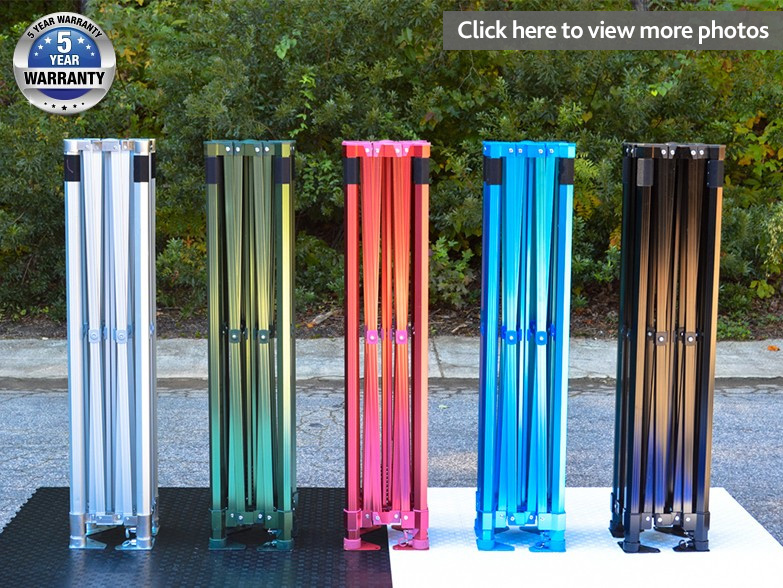 Anodised Aluminium Pro Expo Frames! 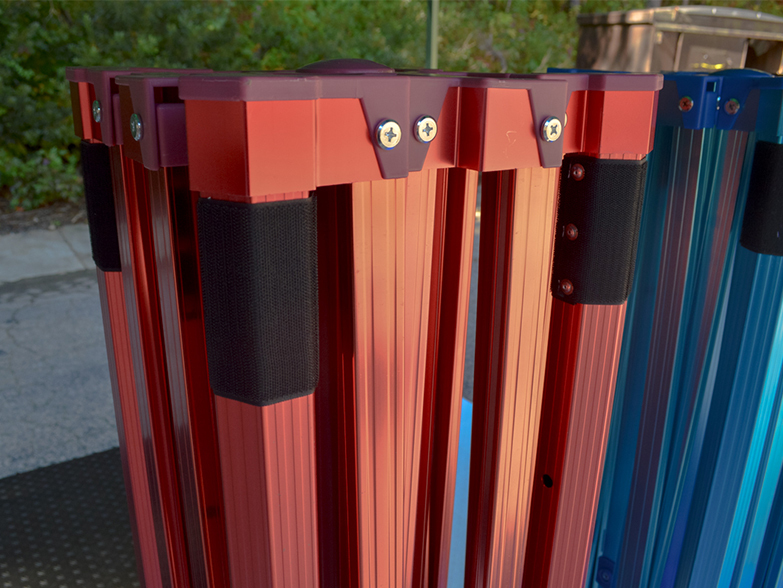 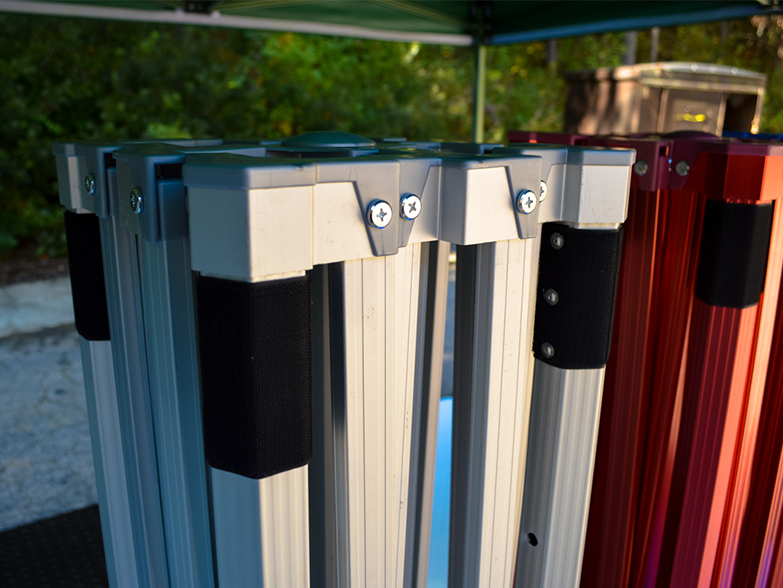 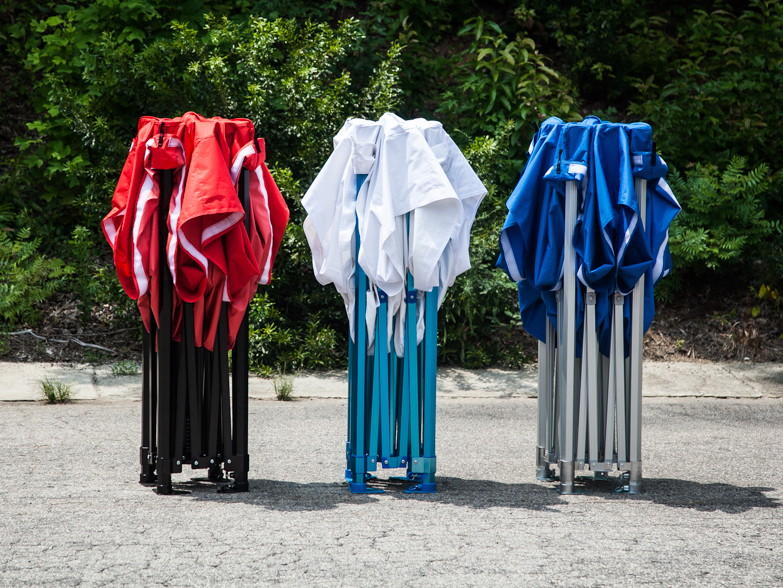 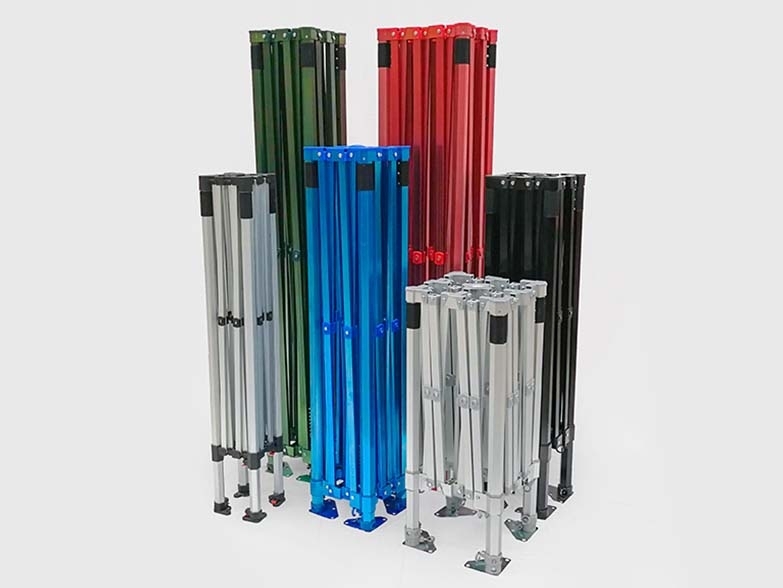 We are the very first company in both the UK and USA to launch a range of anodised aluminium Pro 50 frames! 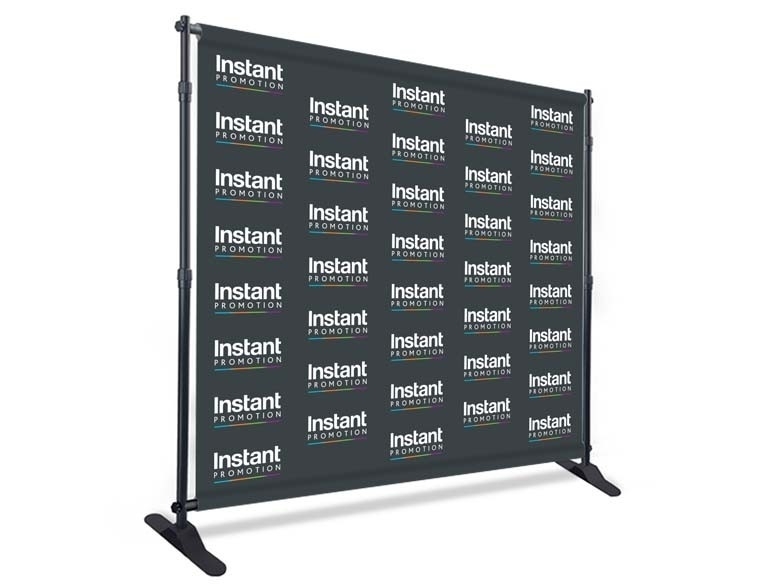 Both the metallic blue and metallic black frames are absolutely stunning, and initially they are available in 3m x 3m, 3m x 4.5m and 3m x 6m sizes. 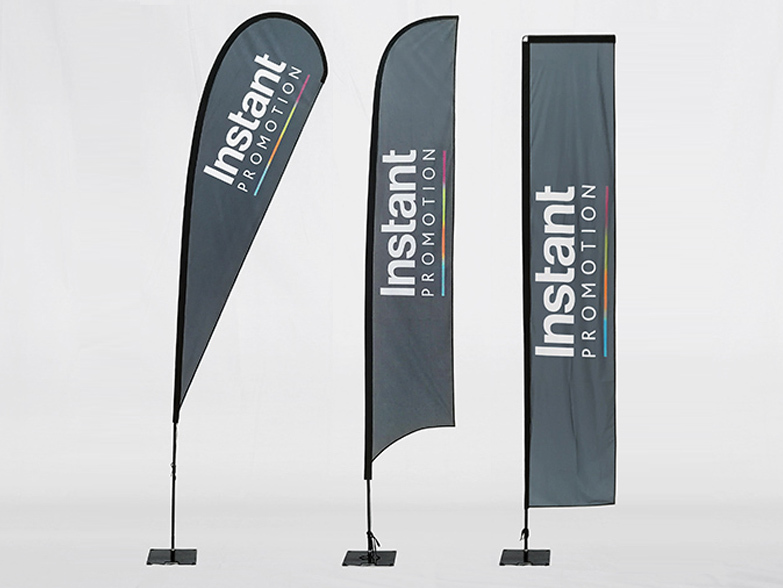 More colours will be added to the range later this year!